PARIS: The world of cycling on Monday mourned Belgian cyclist Michael Goolaerts after he died of heart failure at the age of 23 during the gruelling Paris-Roubaix one-day classic race in France. 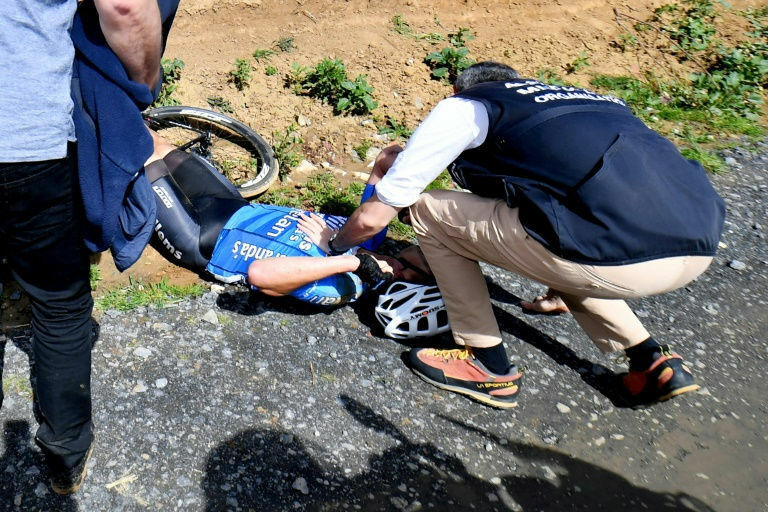 Goolaerts was found unconscious and not breathing at the side of the road on Sunday, after racing along one of the course’s famous cobbled sections. Doctors were unable to revive him at the scene and he was flown to the hospital in the northern city of Lille where he died of “cardiac arrest” surrounded by his family, his Veranda’s Willems team said. A video on YouTube which has been authenticated by AFP showed Goolaerts failing to negotiate a curve and shooting into a grassy bank at high speed. It was not immediately clear if he suffered the heart attack before crashing. No other rider appeared to be involved. The incident happened at around the 100-kilometre mark of the 257-kilometre race.